Earn Up to $1000 Air Credit Per Stateroom on Select 2019 Voyages! A variety of adventures await on any of American Queen Steamboat Company’s iconic paddlewheelers. SAVE with an air credit of up to $500 per person on select 2019 cruises. Receive up to a $500-per-person air credit on select 2019 American Duchess, American Empress, and American Queen voyages. Where will the new year take you? Why not let your cares float away on a uniquely American river cruise? 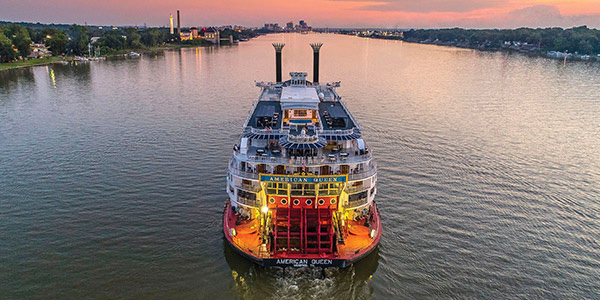 At American Queen Steamboat Company, a variety of adventures await on any of their iconic paddlewheelers, and right now you can SAVE with an air credit of up to $500 per person on select cruises. Savings are available on multiple dates and itineraries, so everyone can find a journey to love. Choose your voyage now, and sail into 2019 with a fresh perspective on this great country. Per person, double occupancy in a Cabin Category E - Inside Stateroom. 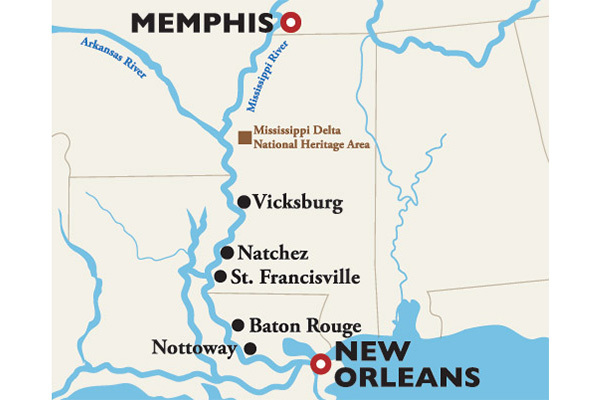 Explore the land of bawdy blues and Southern belles. 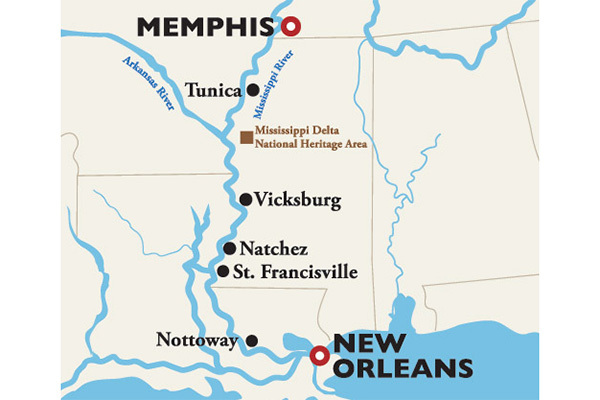 From Memphis to New Orleans, the river rolls slowly and expansively, smooth as a southern drawl. Experience authentic Southern culture as you journey through living history and soak in the romantic spirit of the Antebellum era. Per person, double occupancy in a Cabin Category IS - Inside Stateroom. 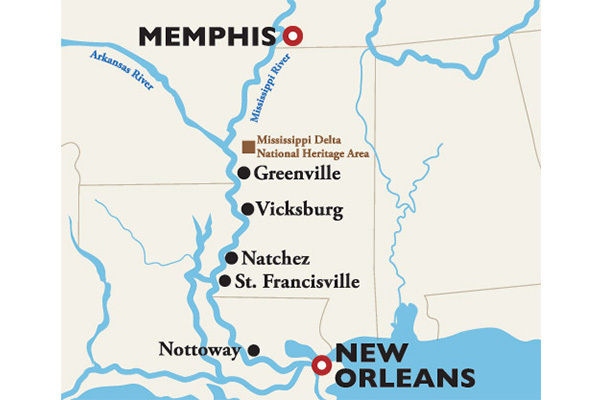 Fertile cotton fields, vast sugar cane plantations and imposing pillared mansions will transport you back in time, as will the Civil War battlefields. *Receive a $500-per-person air credit with the purchase of any cabin on the following American Duchess 2019 voyages: 5/19, 5/26, 6/2, 6/9, 6/16, 6/23, 9/8, 9/15, 9/22, 9/29, 10/6, 10/13, 10/20, 10/27, 11/3, 11/10, 11/17, 12/1, 12/8, 12/15, 12/22. Receive a $150-per-person air credit with the purchase of any cabin on the following American Empress 2019 voyages: 4/28, 5/12, 5/26, 6/9, 6/23, 8/4, 8/18, 9/1, 9/29, 10/13, 10/27, 11/10, 11/17. Receive a $500-per-person air credit with the purchase of cabin category C or above or a $150-per-person air credit with the purchase of cabin categories D or E on the following American Queen 2019 voyages: 5/19, 5/26, 6/2, 6/9, 6/16, 7/21, 8/25, 9/1, 9/8, 9/15, 9/22, 9/29, 10/6, 10/13, 10/20, 10/27, 11/3, 11/10, 11/17, 11/24, 12/1, 12/8, 12/15, 12/22. Air credit will be shown as an additional discount on the cruise invoice. Airfare does not have to be purchased in order to receive the credit. Offer not valid on American Empress cabin category CS. Offer expires May 31, 2019, or when no valid cabins remain. Valid on new, paid-in-full bookings. Singles booked in double-occupancy cabins will receive double the discount. Not valid on group bookings or existing reservations. Cannot be combined with other promotions or discounts. Promotional fares and amenities are capacity-controlled, may vary by sailing and may be withdrawn without notice. Cruise fares quoted are in U.S. dollars, are per person and do not include government taxes and fees, port charges, gratuities, insurance, personal expenditures or transportation costs incurred while traveling to and from embarkation ports. Not responsible for errors or omissions. Additional terms and conditions may apply.